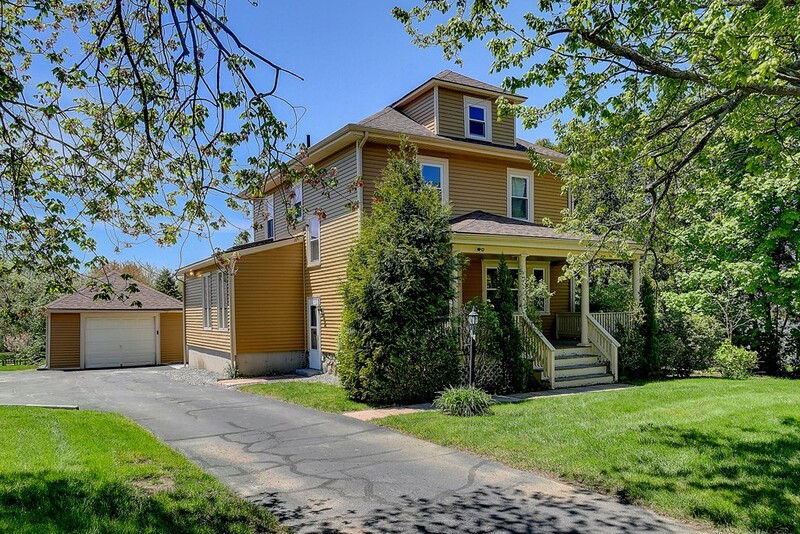 This spacious Colonial style home has many upgrades but still maintains its natural charm. Kitchen offers full dining area, a generous amount of cabinets with granite countertops,matching island, travertine tile floors,crank out picture windows, and newly replaced skylights. Another added feature to the kitchen is a private half bath,and separate enclosed washer/dryer area.The living room offers gleaming hardwood and marble flooring, coffered ceilings, slider to back deck to relax or entertain. All three bedrooms are located on second floor with a full bath, and a oversized hallway with cedar closet to full walk up attic. Easy access to 495 and commuter rail. A must see to truly appreciate this opportunity.